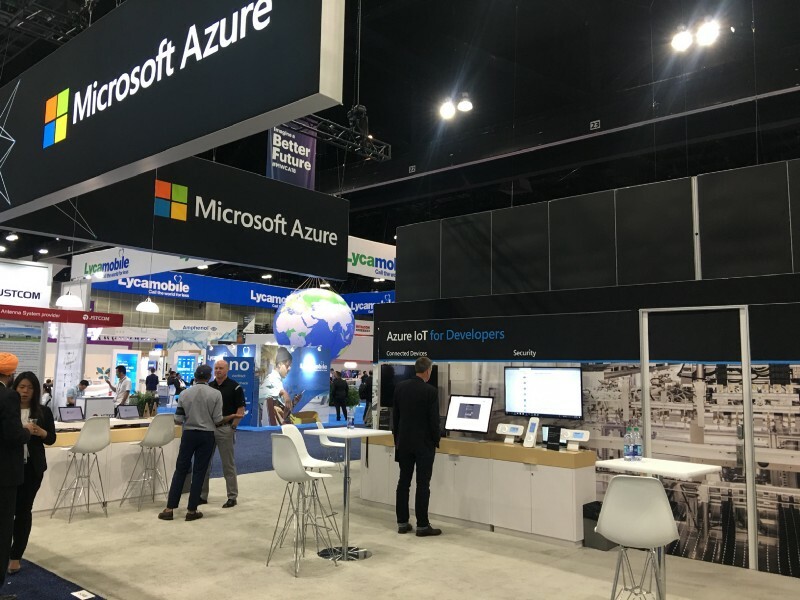 While attending the World Mobile Conference in Los Angeles a couple weeks back, it was hard to miss the focus of many companies in the mobility, telecom, sensor manufacturing, infrastructure and OEM sectors. Immediately upon entering, and in every direction, iterations of the “5G” symbol are displayed in all shapes, colors and sizes to grab attention. One of the more impressive depictions attributed to Sprint’s booth being found above. 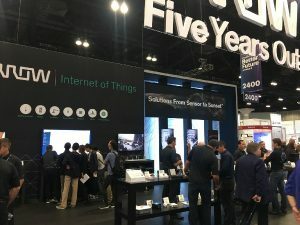 It begs the question, what is so important about 5g and why is basically the whole conference based upon it? The answer is simple and complex at the same time. If you remember the transition from 3G to 4G, it was rather significant in usability of our smart(ish) phones. Our phones could now load and stream video with “relative” ease, deliver read-receipts, pull files of the cloud, browse the internet in a similar experience to a computer browser, and many other things we now take as common place. Many of you have encountered, and will still encounter for a while longer, the 3G-of-death symbol that pops up on the top bar of your phone in a bad service area. You know, the time where your phone basically becomes a paperweight. Messages turn green or sit in queue, any internet browsing comes to a grinding stop, and don’t even try to stream a video because it won’t. It wasn’t long ago that 3G was our main mode of mobile connections, but it has long become a dinosaur in the computing and transmission capabilities of today’s devices. 4G has quickly carried us to a new expectation level of what our devices can accomplish and how they function in various situations we find ourselves utilizing them in daily. The reason we find ourselves celebrating the coming of 5G so ubiquitously is that the jump from 4G to 5G will be immense. It is set to increase speeds by up to a thousand times more than currently expected on 4G devices. Buffering will almost be nonexistent, downloads will be instantaneous, and a significant amount of complex data sets will be transferred with ease around the world in real time. With the proliferation of IoT devices and smart cars connected within soon to be smart cities, there will need to be a network to support the mass amounts of data being created. This is where 5G comes in. Not only will there be more data from each separate system but further data collected once systems are integrated with each other. Each new integration will create further insight and understanding of the world around us, but it will also create more data transmission which will need a strong network to sustain it. The first phones utilizing this technology won’t be out until the middle of next year. However, there are currently a number of antennas on the market or coming out soon that can utilize 5G and connect almost anything to the new network from cars to refrigerators. As this technology is fully rolled out sensors will be come much more advanced. The new threshold provided by this network will allow sensors to send terabytes of data per day easily and providing us with significantly more data points to work with and learn from. For telecoms, much of the physical network has been laid out already or they are currently rolling it out. With the level of complexity that is coming from so many devices new and more frequent physical antenna structures will be required. Many companies have begun to create hidden antennas and connection points in light poles and other intriguing methods to hide in plain sight in the smart cities being developed. The days of cell towers may be falling to the wayside as we get better and incorporating smart technologies into our city planning process. These OEM’s coupled with telecoms will create networks with much better connection and coverage, further enhancing the 5G experience. The 5G network today is being built with the future of technology in mind. Connectivity and speed are the name of the game, a “Data Rush” of sorts. Those that can most effectively harness the data being created will be the companies, organizations, and municipalities who are proactive in preparing for this massive change in communication speeds. VR/AR, IoT, Data Science, BI, and a number of other new technologies will all see a significant jump in what they are able to monitor, accomplish, and stream. If your company is headed into this space, or would just like to learn more about it, please visit our website at www.clovity.com or reach out to sales@clovity.com. Very nice post about 5g.